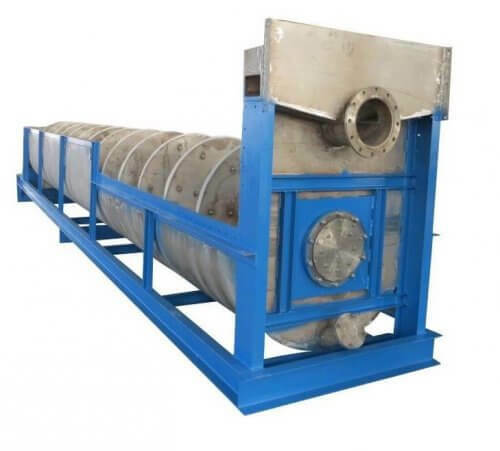 Belt conveyors used to transport minerals are to be found all around the world in a large number of surface and underground mining operations. 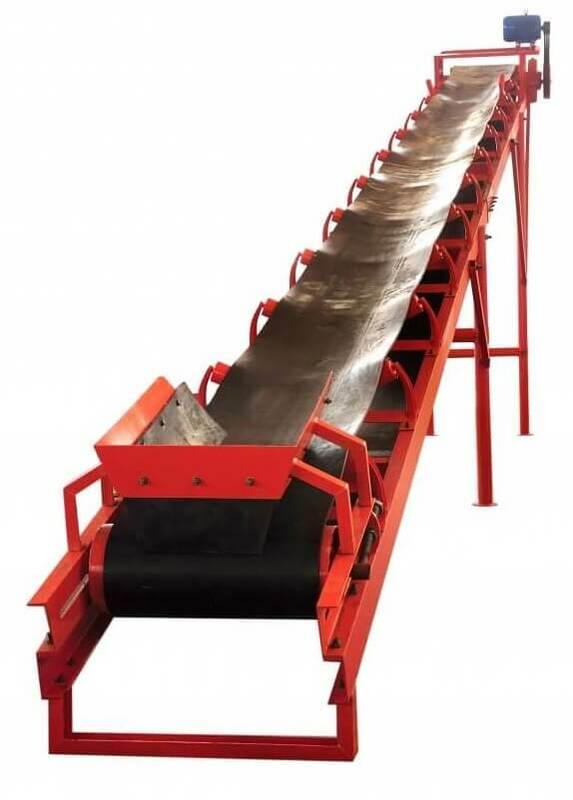 The idea of using the conveyor belt is not new, indeed, the first bell conveyors were introduced at the end of the nineteenth century; the basic principles of operation have not changed. 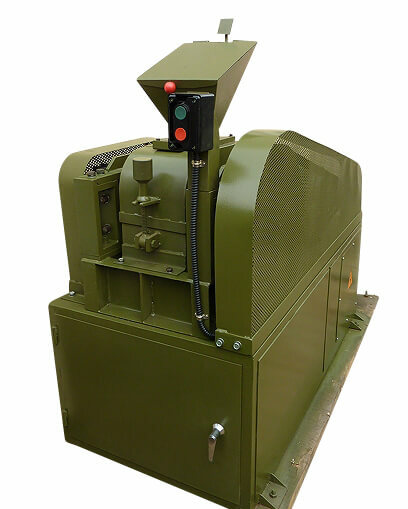 However, over the years the capacity rating of belt systems and the length over which material can be transported have increased very considerably, together with the power inputs, the size of components and the degree of sophistication. 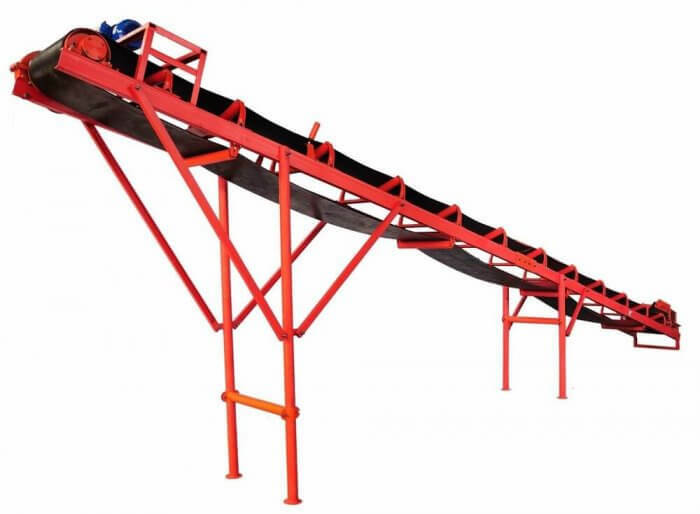 The type of belt conveyors are used to transport various materials over relatively short distances both horizontally and on an incline where the angle of the latter does not exceed 21° to 23° in exceptional cases. 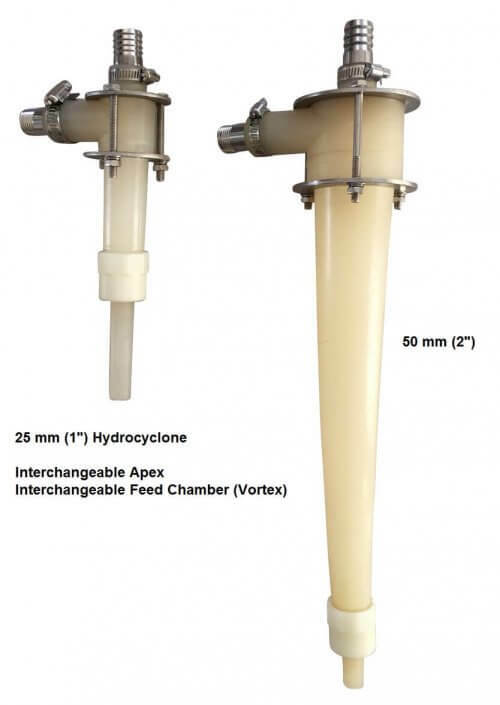 The material can be of almost any size and either dry or wet, but in the latter case the moisture content must be known and taken into consideration when figuring such installations. Usually the belt is supported at regular intervals by troughing rollers on the carrying side, while a number of flat rollers are needed for the return side. 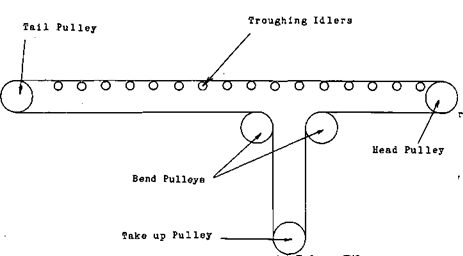 Conveyor belting designed for the particular service is usually rubber covered, the upper or wearing side in many instances being further reinforced by an extra thickness of “tread” rubber which may or may not extend to the outside edge of the belt, while the under or pulley side has only a thin coat to protect the duck. 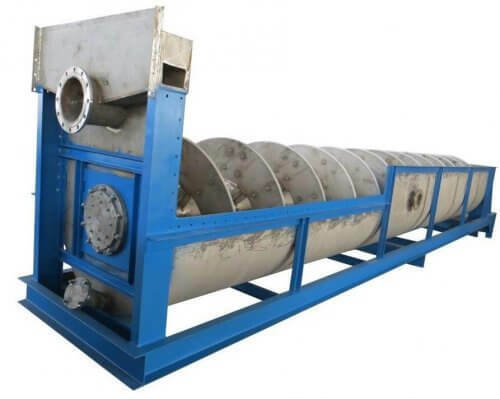 Duck for conveyor belting ordinarily weighs 28 to 42 ounces and the plys from 3 to 8 depending on the factors of length of conveyor, width of belt, size of head and tail pulleys and the weight and character of material to be handled. 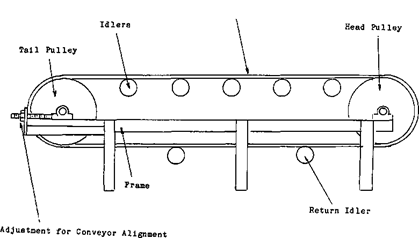 Supports for conveyors are usually wood or steel longitudinal members properly supported on bents and braced laterally to properly keep in alignment both the troughing rollers and the return idlers. Conveyors are a cheap, quick and continuous method of transporting the material and when properly designed give long service. Additional data gladly furnished upon request. A well designed concentrator conveyor system will make this ore transportation problem seem very easy. But, like anything mechanical, there are a few guide lines that should be followed to maintain the conveyor systems efficiency. So in the following chapter we will discuss different conveyors. Their components and some of the operating skills required to be efficient in their control. 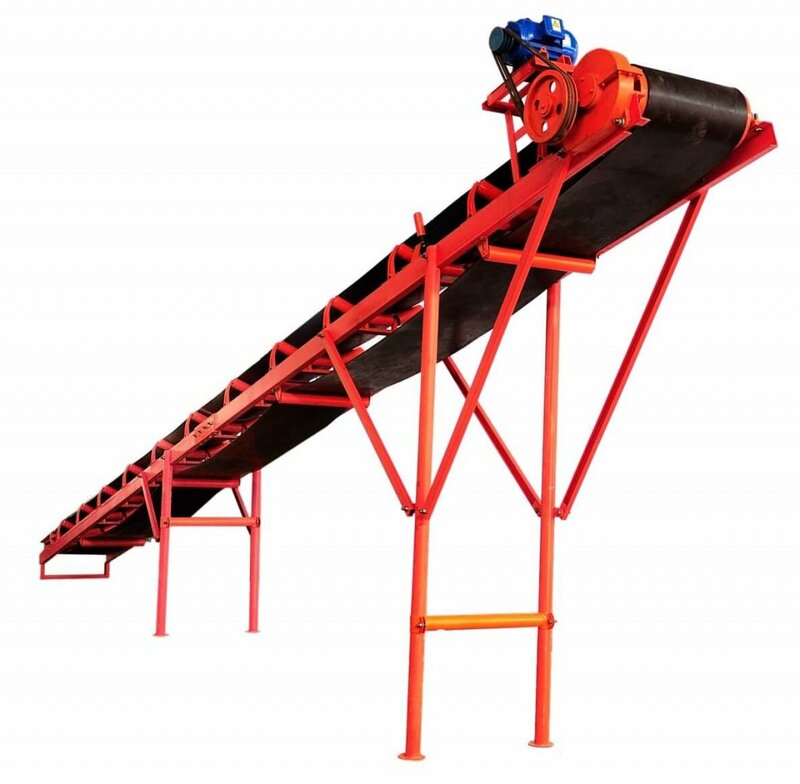 To start let’s look at three different conveyor systems, starting with the simplest. 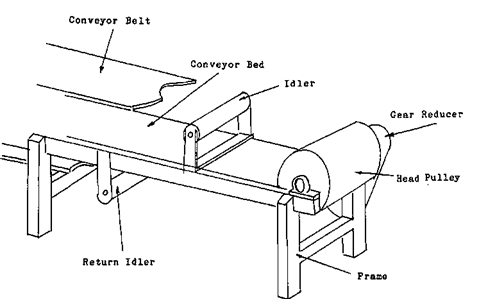 The basic components of a conveyor are the FRAME and the BED, the IDLERS. The rollers, roll with the belt to help reduce the drag of the conveyor belt that the drive motor will have to pull against. The RETURN IDLERS, these support the belt for the return part of the belts cycle. 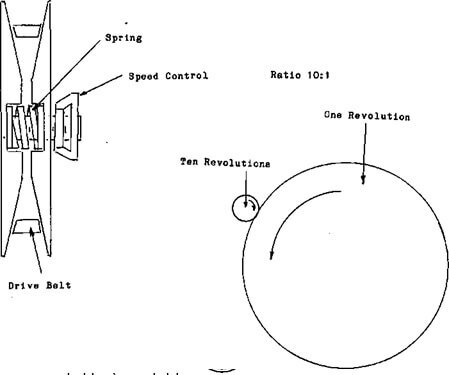 The TAIL PULLEY. On this simple conveyor the tail pulley is adjusted to maintain belt alignment and tightness. 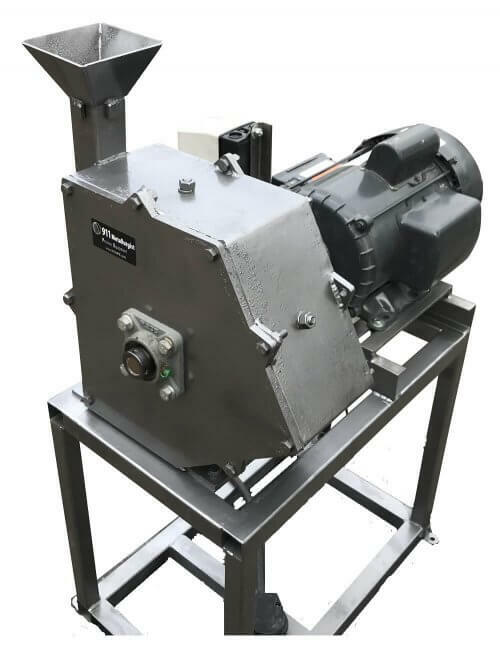 The DRIVE UNIT, attached to the head pulley, the drive unit is comprised of, MOTOR, GEAR REDUCER, and DRIVE BELTS or CHAINS. A gear reducer, by the way, lowers the revolutions per minute that the head pulley revolves at. The BELT. This is a flexible surface, usually constructed in altering layers of rubber and cord. The cord may be of different material and is included in the design to prevent the belt from stretching and or breaking. 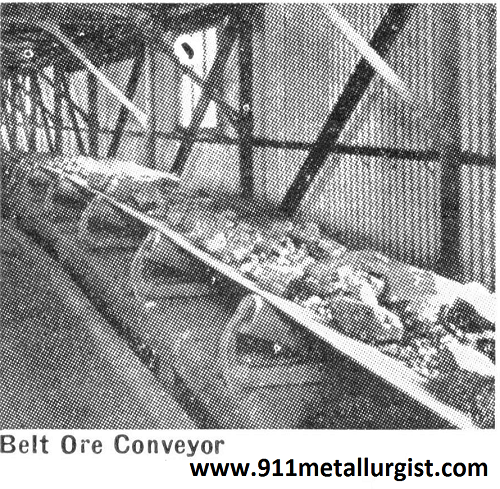 The second conveyor that I would like to describe has all the components of the first, plus a few of its own. The most noticeable differences are the length, the size and the speed. Because this conveyor has these differences the design had to accommodate the changes. Like everything else, each mine has its own problems when dealing with ore handling characteristics. Sometimes the ore will be very wet and sticky. This may mean using POWER BRUSHES and BEATER ROLLERS to keep the dirt knocked off of the belt face. 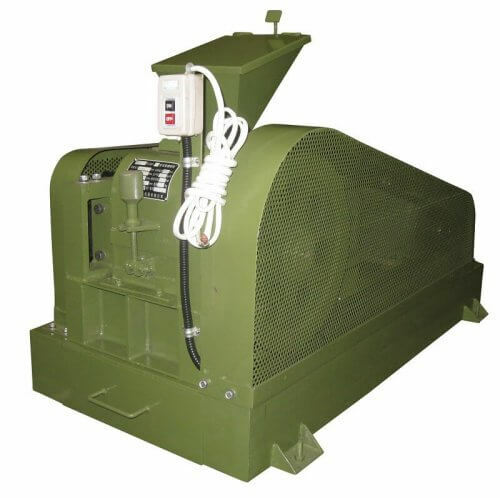 Dust may be the problem, whatever it is, there has been equipment designed to deal with it. 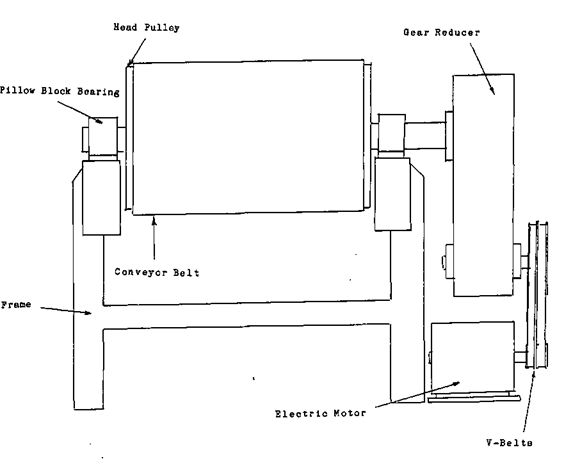 Instead of describing individual conveyors as I have been, I think we should graduate to systems that use two or more conveyors in a CIRCUIT. In modern mills it is not unusual to find two conveyors feeding onto a single conveyor. 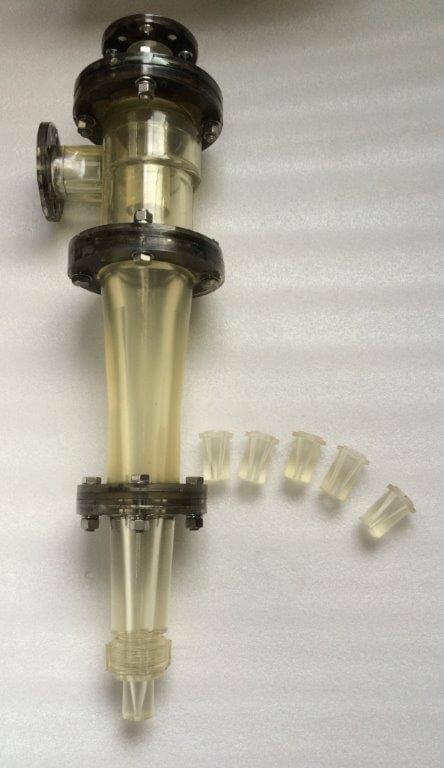 It is also normal to find one piece of equipment feeding one or two other pieces of equipment. When this happens the conveying system that is required to deliver the ore in a steady controlled fashion can be quite complicated. This means the little gear will have to turn ten revolutions to make the large one turn one revolution. In some reducers this ratio may be changed. Whenever possible the speed of any VARIABLE SPEED EQUIPMENT should be lowered to zero before it is started. This will help eliminate the stress and strain of start-up. 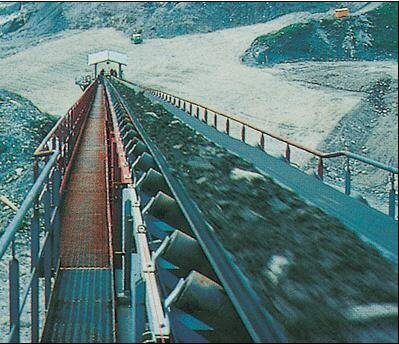 The belt should not be run at a greater inclination than 22°, as the ore tends to roll backwards on a steeper slope. 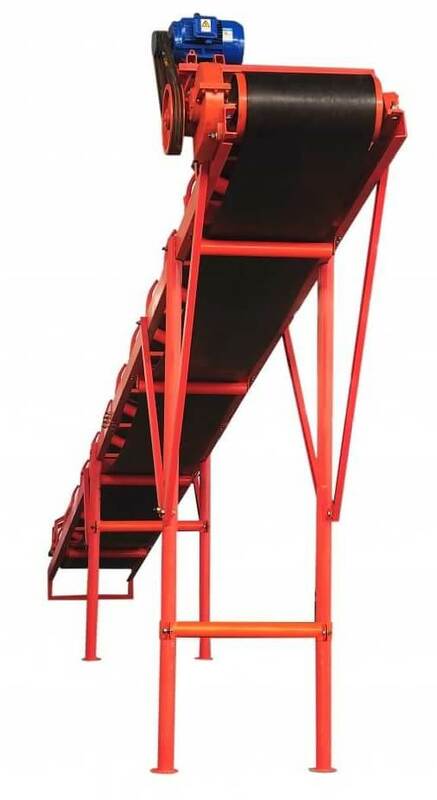 The above figures are based on normal design for heavy-duty conveyors. They are calculated for a belt speed of 100 ft. per min. ; for faster travel the capacity and power figures must be increased in direct proportion to the belt speed. Usual practice is to run the belt at about 200 ft. per min., in which case the figures in the table should be doubled. 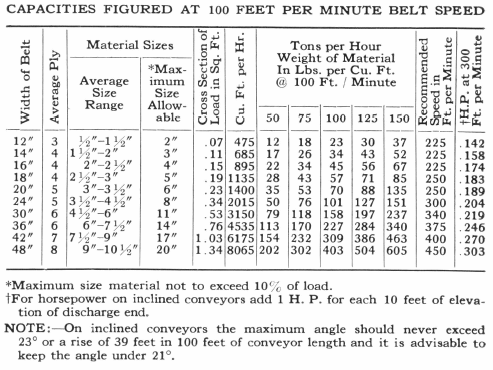 The power requirements are given for a 100-ft. length of belt; for longer or shorter lengths the figures must be increased or decreased respectively in direct proportion to the belt length in feet measured from the centre of the head to the centre of the tail pulley. The capacity figures remain constant whatever the length of the conveyor depends on the distance between the bottom edges of the two jaws at the end of the backward stroke when they are open to their widest extent; this distance is determined to about half an inch by the size of toggle plates used, any finer adjustment being made by placing shims (242) behind the toggle block (240). 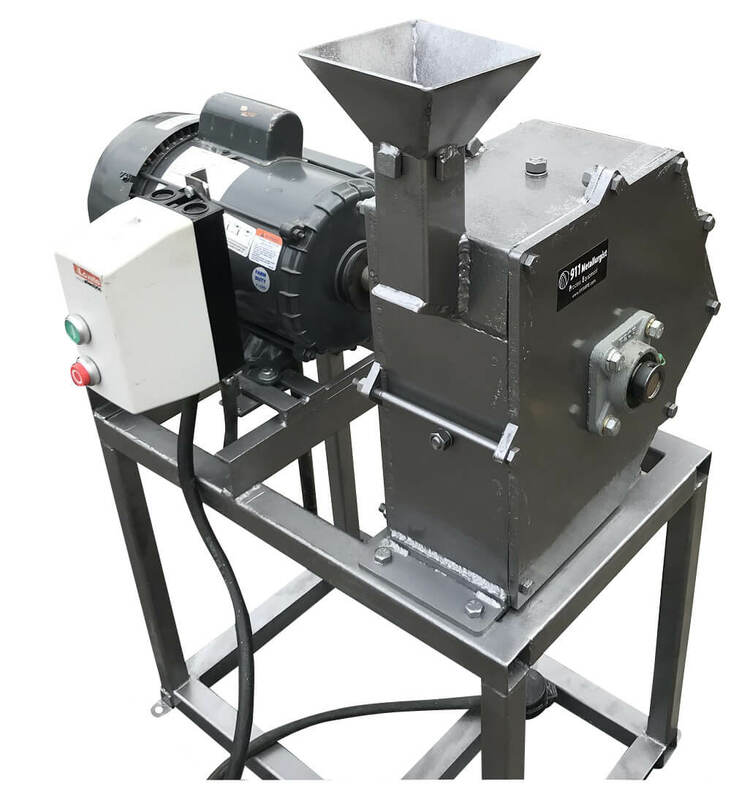 In some makes of crusher, however, the last adjustment is made by means of a taper wedge which is situated behind the toggle block and can be moved up or down by turning the nut on the bolt that supports it. The faces of both jaws are protected from wear by manganese steel liners.